I have a tendency to get a little overexcited when it comes to prospect call-ups but Eric Hosmer is kind of a big deal. 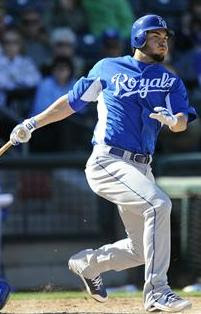 Hosmer ranked fifth on Keith Law's Top 100 list coming into the 2011 season. Law's top two (Mike Trout, Bryce Harper) won't play in the majors this season, number three Domonic Brown was a little exposed during his time in Philadelphia last season and is currently hurt and number four Jesus Montero's bat is ready but there is no spot for him in the Yankees lineup. So Hosmer is basically the top prospect we can expect to make his major league debut this year and have a chance to contribute. The timing is a little curious unless the Royals have decided the Indians aren't for real (which very well might be) and think they can make a run for the AL Central this season. Otherwise, the Royals could have left Hosmer raking in AAA for another month to prevent him from becoming a Super Two. Which he is almost guaranteed to be unless he doesn't hit for some reason and doesn't stick on the MLB roster. For the Royals, this means Hosmer would be eligible for a fourth year of arbitration which would/could cost the Royals upwards of $10M before he hits free agency. But the move was made and it's not hard to see why the Royals swapped out Kila Ka'aihue for Hosmer. 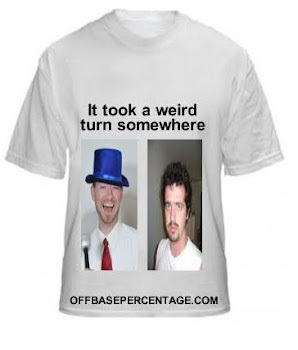 In 118 plate appearances at AAA, Hosmer is hitting .439/.525/.582 with three home runs. He's not exactly crushing the ball though. The kid is hitting a ton of singles. He has only eight extra base hits and a .143 ISO. His BABIP is also .500 so that .439 BA might not be an accurate representation. Everyone still expects Hosmer to hit and hit right away and who am I to argue with everyone? There are exciting time ahead in Kansas City. With the Royals only 4.5 games out of first, who's to say that 2011 isn't as good a year as any to be hopeful? The division isn't very good and they have more help on the way. Which is good because I do think it's just a matter of time before Jeff Francoeur turns back into a pumpkin.